Online communications at web portals represents technology-mediated user interactions, leading to massive data and potentially new techno-social phenomena not seen in real social mixing. Apart from being dynamically driven, the user interactions via posts is indirect, suggesting the importance of the contents of the posted material. 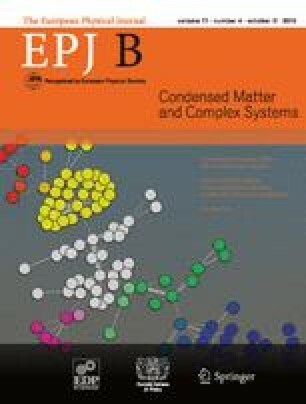 We present a systematic way to study Blog data by combined approaches of physics of complex networks and computer science methods of text analysis. We are mapping the Blog data onto a bipartite network where users and posts with comments are two natural partitions. With the machine learning methods we classify the texts of posts and comments for their emotional contents as positive or negative, or otherwise objective (neutral). Using the spectral methods of weighted bipartite graphs, we identify topological communities featuring the users clustered around certain popular posts, and underly the role of emotional contents in the emergence and evolution of these communities.